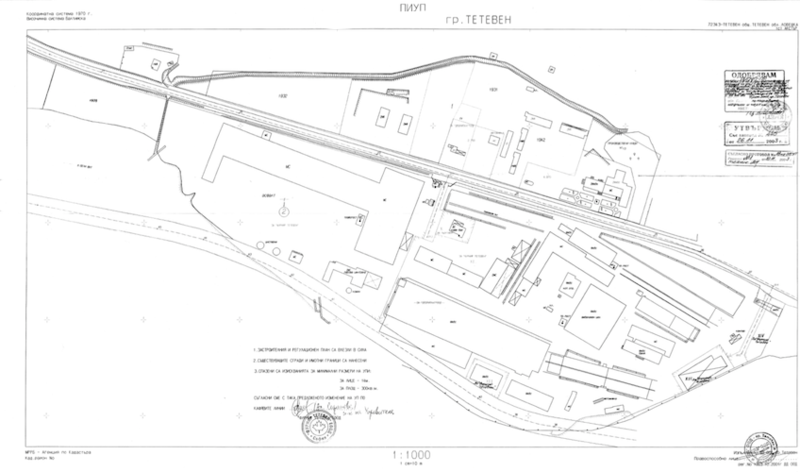 INDUSTRIAL SITE WITH AREA OF 93 520sq.m. 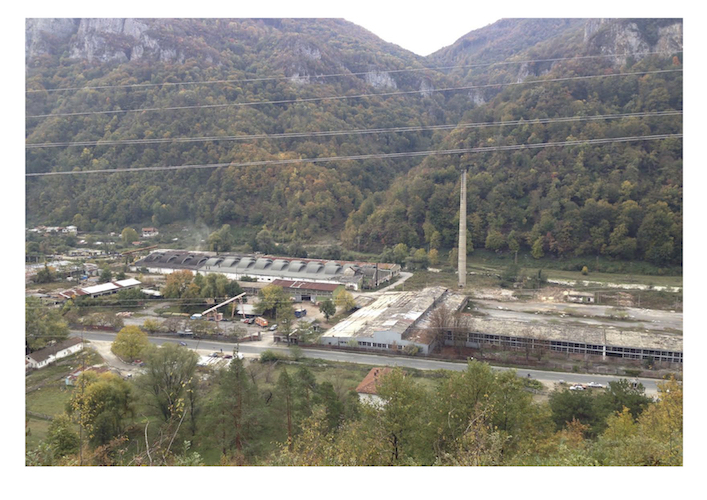 Location: The industrial site is a regulated land estate situated in the industrial zone of Teteven town which is 90 km away from Sofia by highway. The industrial site could be easily accessed by transport; an asphalt road is leading to the portal of the site, so that trucksmay reach it for unloading and loading of materials. Infrastructure: The infrastructure is well developed – rain drainage, water supply, electricity supply, regional lighting, central heating and telephony are available. The internal transport connections are well developed – asphalt roads. 30 000 sq.m. covered area – halls. The industrial site is most appropriate for new production development!